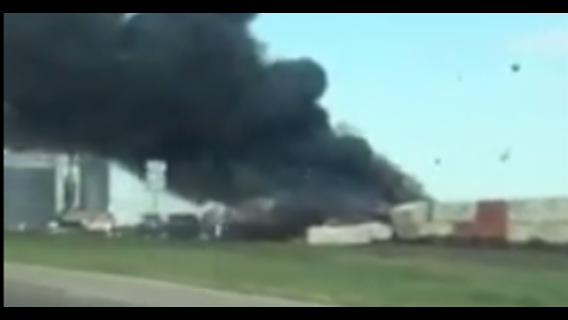 AUSTIN, Texas, June 28 (Reuters) - Three railroad workers are missing after two freight trains they were on collided in northern Texas on Tuesday, causing a huge fire, officials said. 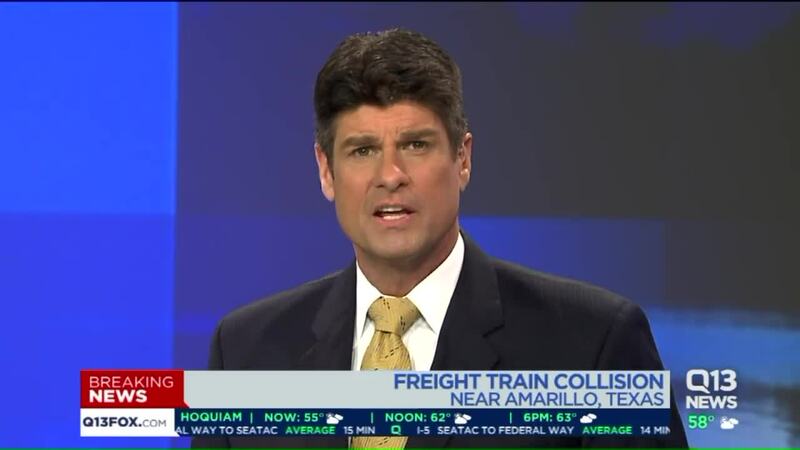 The accident near Panhandle, about 30 miles (50 km) northeast of Amarillo, happened when the lead locomotives of two Burlington Northern Santa Fe Railway Co trains crashed into each other, said company spokesman Joe Faust. There was no information available as to what caused the accident or the fire, he said. There were four workers aboard the two trains. One was found and taken to an area hospital. That person's condition is unknown, he said. "Rescue efforts are under way at the scene with respect to the three other railroad employees involved in the incident," Faust said. Local rescue officials said the three were missing. The Carson County Sheriff's office issued a mandatory evacuation for an area near the accident.